The Forza 2 Home Cinema Seating offers the ultimate in relaxation and comfort, available in a 2 or 3 seater options. 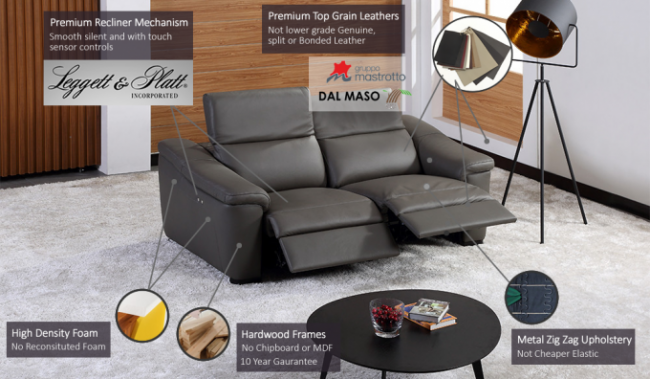 Available in luxury top grain Italian leathers including Mastrotto brand Italian leather and high quality Legget & Pratt electric recliners mechanism. With discreet tactile touch recliner buttons and manual adjustable headrest. Single arms seats are electric recliner. All headrests are manual adjustable height to 80cm when down to 104cm when fully upright. Recliner extends 57cm forward of seat when fully extended. 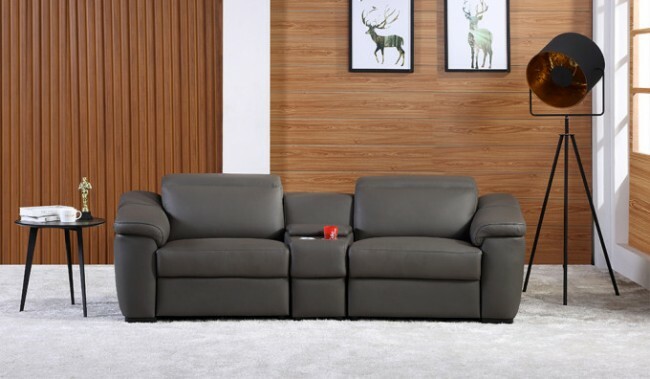 Available in 3 Mastrotto top grain leathers finish colours.